Tata Communications Payment Solutions Limited (TCPSL), a wholly-owned subsidiary of Tata Communications Limited, unveils Indicash - India’s first-ever network of white label automated teller machines (ATMs). In line with the Reserve Bank of India’s (RBI) vision to accelerate growth and increase ATM penetration across the country, the first Indicash ATM was inaugurated today at Chandrapada, a rural village in Thane district, Maharashtra. This launch was led by a senior Reserve Bank of India (RBI) official, Vinod Kumar, Managing Director and CEO, Tata Communications, and Sanjeev Patel, CEO, Tata Communications Payment Solutions Limited. The launch of Indicash (‘India’ and ‘cash’), marks a milestone for the country and ushers in a new era of ATM accessibility for the masses across cities, towns and villages. Backed by the $100.09 billion Tata brand, India’s first network of white label ATMs is aimed at empowering millions of Indians with the convenience to access their own money with ease. Since 1868, the Tata group has always played a pioneering role in identifying and supporting innovative and emerging business opportunities in India to create value for its people. The launch of Indicash continues to drive this promise home. On the world’s global stage, India is by comparison an underpenetrated ATM market with just 98 ATMs per million of population (compared to 1,390 in the US, 530 in the UK, and 211 in China). TCPSL is pleased to be playing such a significant and pioneering role in deploying white label ATMs across the country and will bring TCPSL’s total India ATM roll out to 50,000 by 2016. The roll out is backed by Tata Communications’ highly resilient and reliable infrastructure as well as managed services expertise. Indicash was designed using consumer research that TCPSL conducted across India which identified the main concerns surrounding the use of ATMs. The research showed ATM cards being swallowed, charges, short dispensation of cash, intimidating environments, difficult user interfaces and privacy / security as the top-of-mind concerns when using ATMs in India - especially in Tier 3 to 6 locations. The new Indicash ATMs have been designed to eliminate these fears and concerns. Indicash machines are Dip machines that cannot swallow cards; the interface has been designed to be intuitive and simple with multi-lingual messaging to provide ease and convenience of transactions for users across urban and rural markets. Features that address security concerns are privacy screen filters, key pad shields and electronic surveillance, to enable safe and secure transactions. Like most other bank ATMs Indicash offers a host of cash and non-cash services such as cash withdrawals, balance enquiries, mini-statements and PIN change. 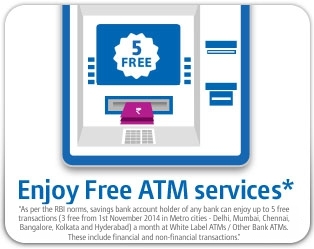 It accepts all domestic debit cards with the first five transactions per month being free, in line with RBI regulations for use of “Other Bank ATMs”. TCPSL will be deploying 15,000 Indicash ATMs in a record time of three years. 67 per cent of these will be deployed in semi-urban and rural areas and 33 per cent will be installed in metro and urban markets. Phase two of the roll out will be to offer value added and utility services to customers using Indicash ATMs and introduce offers and third party promotions. TCPSL will be engaging with national and regional banks to support its rollout plans, based on their strengths in providing cash in particular areas. Tata Communications operates the world’s largest terrestrial and wholly-owned subsea cable network (tier 1 IP network). It’s the world’s largest wholesale voice provider carrying over 62 billion international wholesale voice minutes per year and is the world leading global telecommunications and Enterprise IT solutions provider. The company serves 1,600 service providers and major multinationals around the globe and carries 1 in every 6 international calls across the world. Its network touches 99.75 per cent of the world’s GDP and it accounts for 20 per cent of the world’s internet traffic. Tata Communications has also launched the world's first round-the-world fibre optic cable network connecting Europe to India, through Egypt, bringing increased capacity, resilience and enhanced communications links to not only the Middle East, but to the rest of the world. As the Technology Supplier of Formula 1® and the Official Connectivity Provider of Formula 1® and Official Web Hosting and Content Delivery Network Provider of Formula1.com. ; Tata Communications provides global connectivity for all 20 race locations and the worldwide offices through its global network. This also includes hosting and providing content delivery for Formula1.com, which is accessed by tens of millions of fans around the globe.